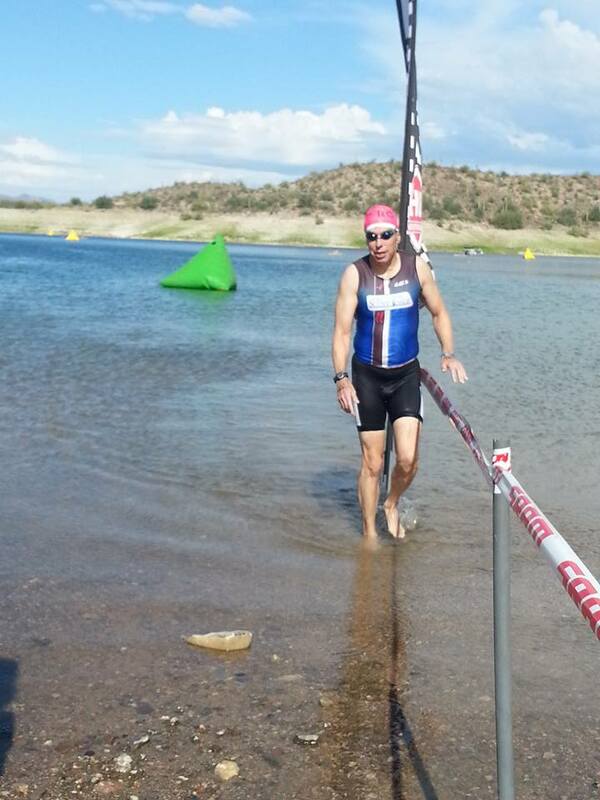 The event (4000 and 2000 meter open water swim at Lake Pleasant) was called the state championships, but it was a pretty low-key and not-very-crowded event. Scheduling it the day before a major half Ironman in Tempe probably kept turnout down. But if only 2 people show up to swim in your category, finish and you podium! (I finished 11 minutes behind the winner, so even that felt good; it's not like there was anything I should have done differently). 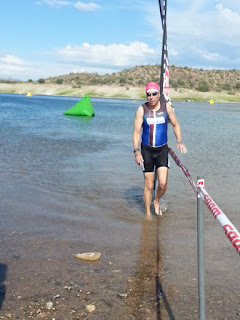 My TriScottsdale group used this as a IM FL training opportunity, riding our bicycles 40+ miles to the swim, then swimming the 4000m distance (most in wetsuits, but I went without in 77-degree water). I'm pretty pleased with my 1:28 time for a distance slightly longer (by 0.1 mi) than the IM distance with the 40 mi on the bike beforehand, and IM FL should be wetsuit-legal. Getting pretty psyched.